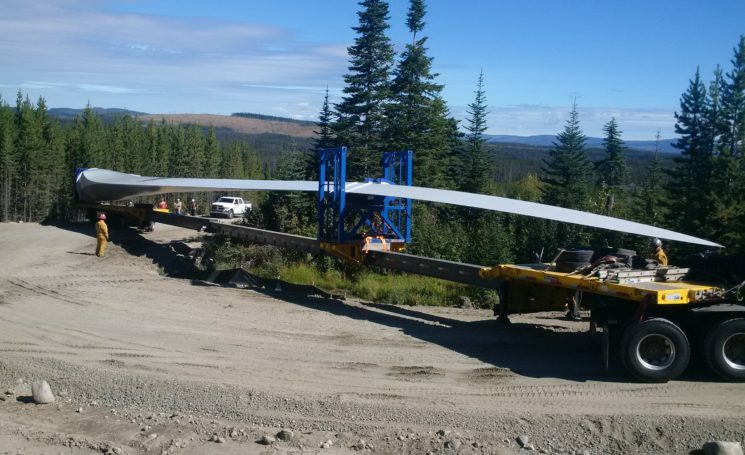 Turbine blades are arriving at Pennask. Wind turbines generate electricity by harvesting the power of the wind, producing no greenhouse gases or air pollution. Each of the Okanagan Wind turbines will have three blades, working to produce clean energy and green BC’s electricity grid. 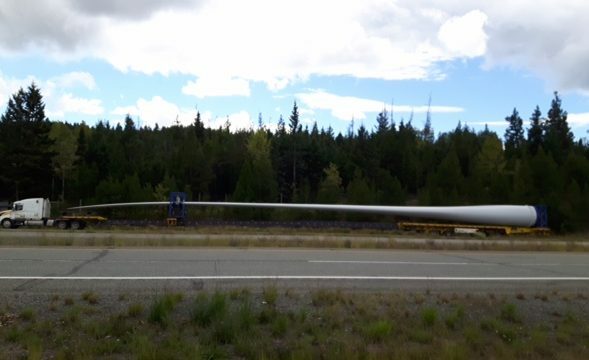 At 57 metres long, the turbine blades are approximately the height of Canada’s Horseshoe Falls and require specially designed trailers to deliver them safely to site. The deliveries take place late at night, using long trucks with back trailers controlled by a trailing car. This way corners are no longer a problem! 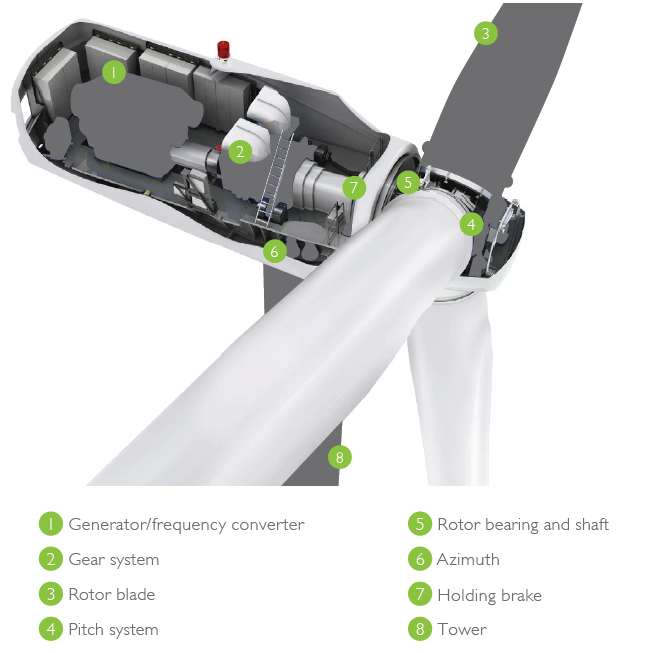 Once operational, wind will pass over the turbine’s blades and, similar to the wing of an airplane, create lift. 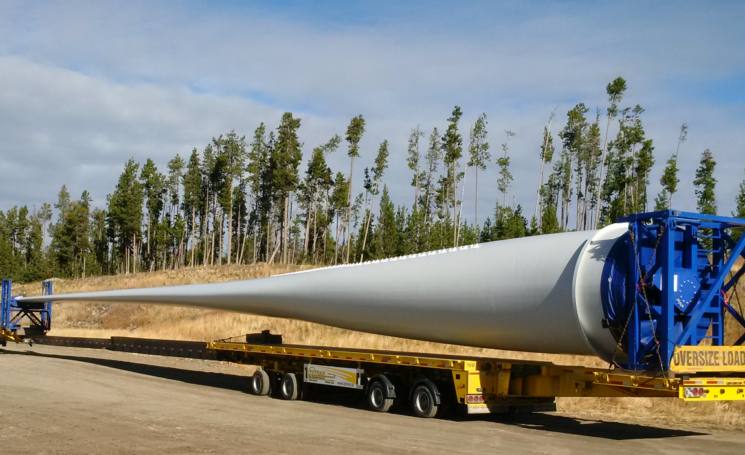 The pressure difference between the upper and lower surfaces of the blade turns the rotor, converting the kinetic energy of the wind into electricity.